Learning how to surf was never this easy! Motion analysis and tracking with tips for getting up on your board etc. Beginners often have a hard time learning the complex motions of surfing. Shorebreak offers simplified and animated video sequences to understand surfing - at home, at the beach or directly in the line-up. Shorebreak uses the motion sensors inside the iPad (GPS, X-/Y-/Z-Accelerometers) to keep track and record your entire motion. 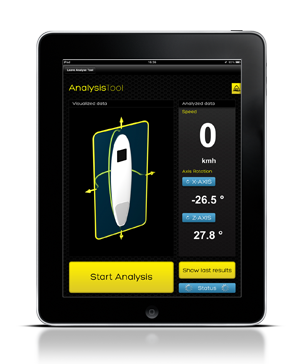 Showing you the right key-point to stand up on your surfboard and letting you review your data after your ride. 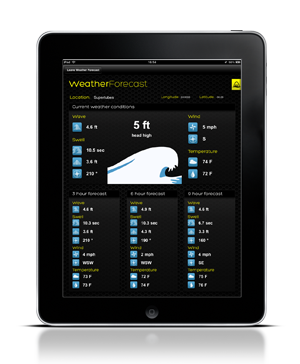 With the integrated auto-located weather forecast you are able to keep track of wind, wave, swell height and direction. Know before you go: Check your favorite spot from home or work up to 9 hours before. We're working hard. And we'll get there. By now we're looking for people to make it happen, suppliers, enthusiasts. We'll let you know as soon as the Shorebreak App & Dock gets to live. Don't miss it! Know what’s best about the Shorebreak App? 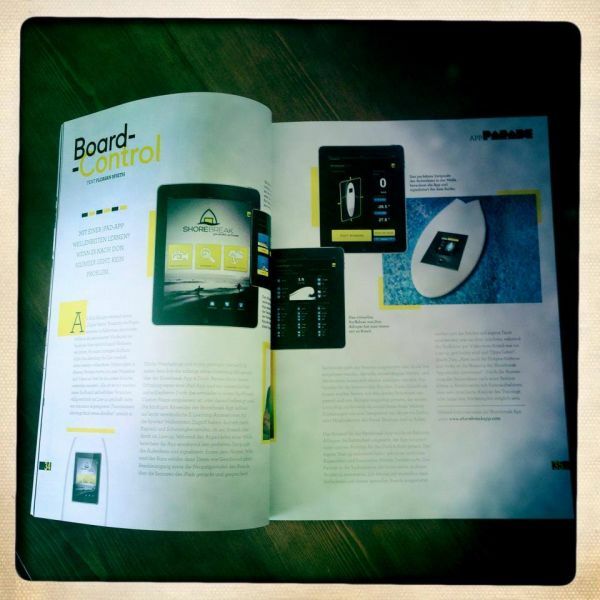 Everything is integrated right in your surfboard! 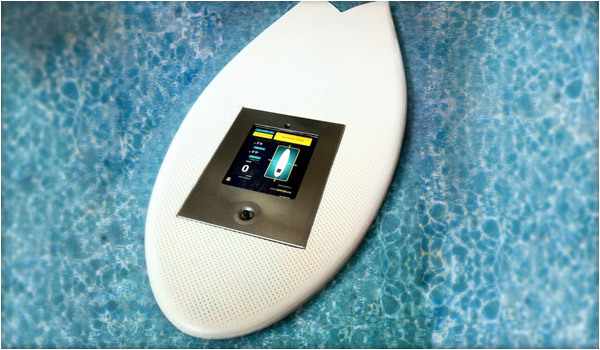 You might wonder: "How will the App be accessible inside a surfboard?" We've built a simple dock prototype including a waterproof and shock absorbing iPad case. The case will be integrated into manufactured boards. After your session you can take it off and use your iPad as an everyday gadget. Spread the word about Shorebreak. Share it on Twitter, Facebook or Google Plus. Feel free to blog about it. Follow Shorebreak on Twitter or like in on Facebook and see what's happening. The way of learning new things has radically changed over the past couple of years. The classic teacher student situation is getting replaced by modern technology pared with intelligent software, supported by growing communities. The Shorebreak App and Dock is a product, that has developed from this change. It combines e-learning videos, simplified and understandable, with modern technology, like the accelerometer and gps sensor. "This made me wonder if there was a way to bring the learned content to the place you actually need it. Which in this chase would be in the water." Most beginners in surfing are struggling with getting through the whitewater near the beach. Once they're outside in the lineup waiting for the waves, a lot of the theory learned seems to have been forgotten, through all the stress they've experienced getting out. This made me wonder if there was a way to bring the learning content to the place you actually need it. Which in this chase would be inside the water. This can be determined as the hour of birth of the Shorebreak App. Through my bachelor thesis I had the chance to bring these ideas to live. It helps you understand and learn the complex motions of surfing with the help of simplified e-learning animations. The location-based wave and weather forecast helps predicting the surroundings, including wind, wave, swell height and direction. If you want to write about Shorebreak, online or printed, feel free to use the material from the press kit. You'll find high resolution logos, photos and a detailed description in there. Questions? Interest? Just drop us a line and we'll get back to you!